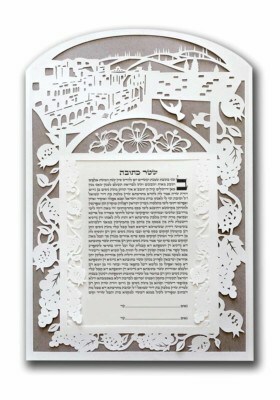 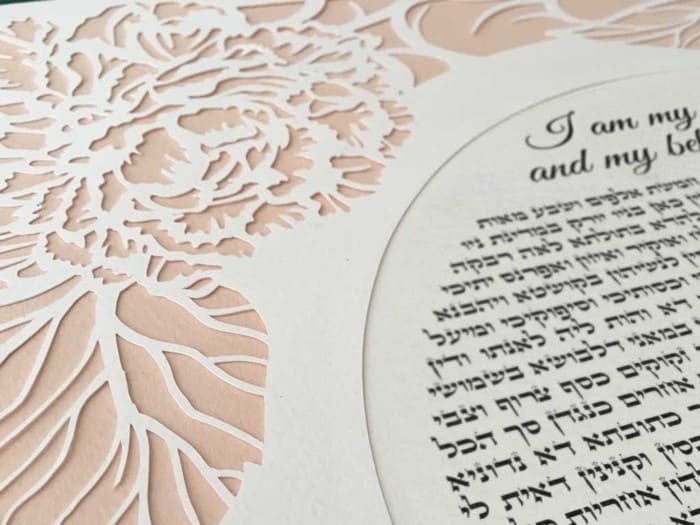 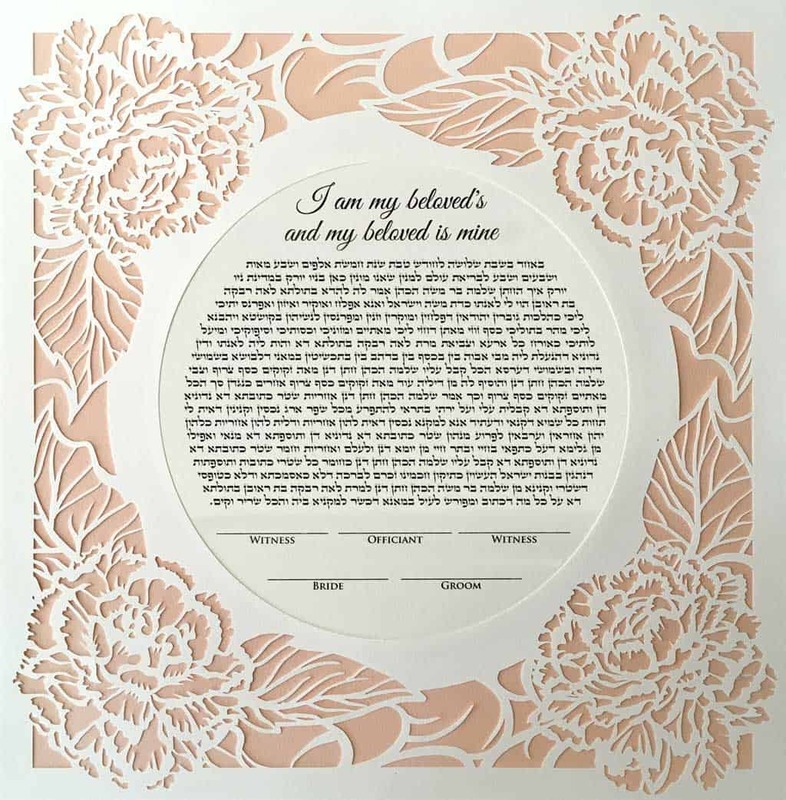 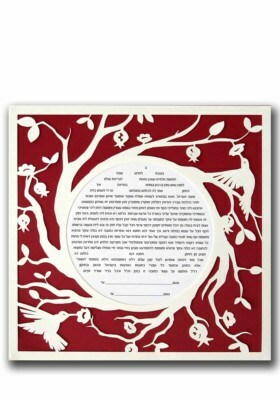 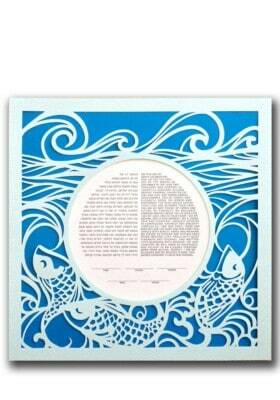 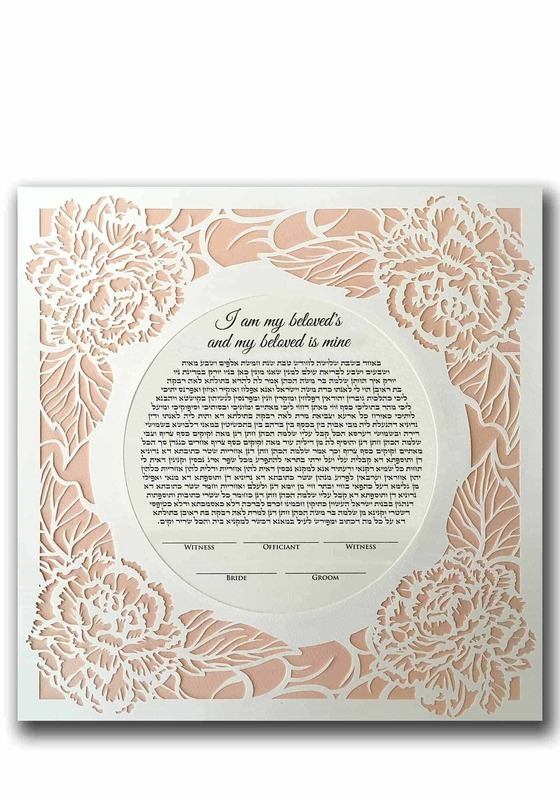 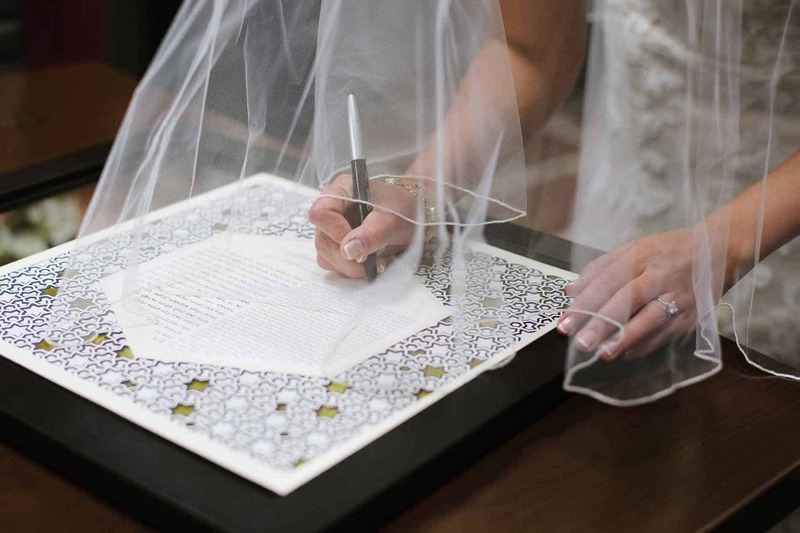 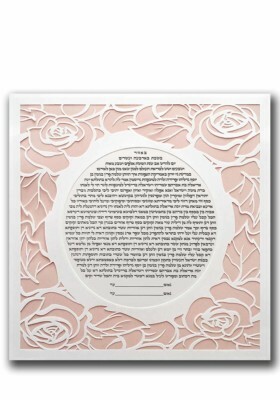 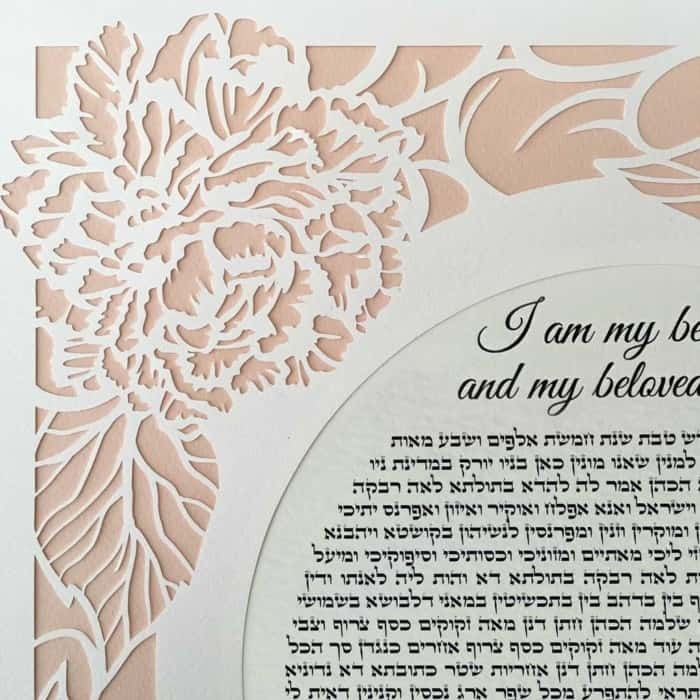 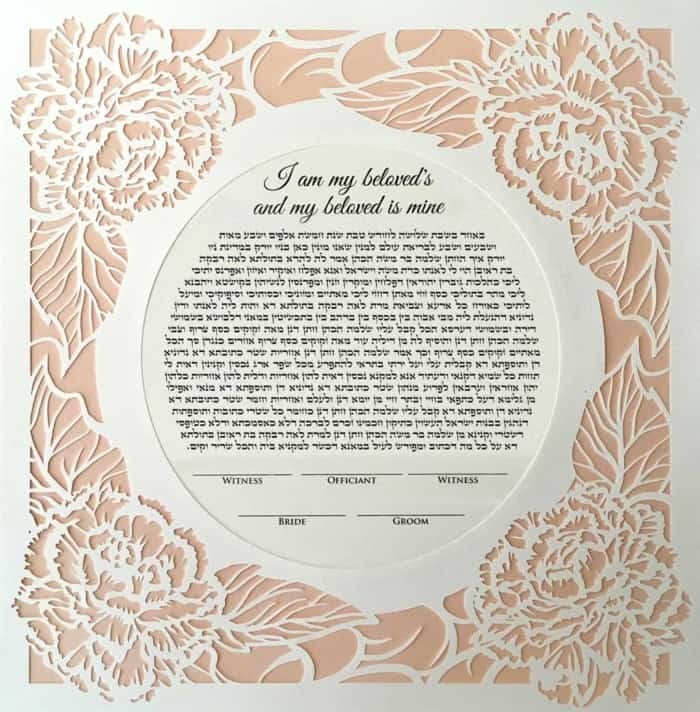 A classic papercut ketubah featuring delicate peonies framing the text. 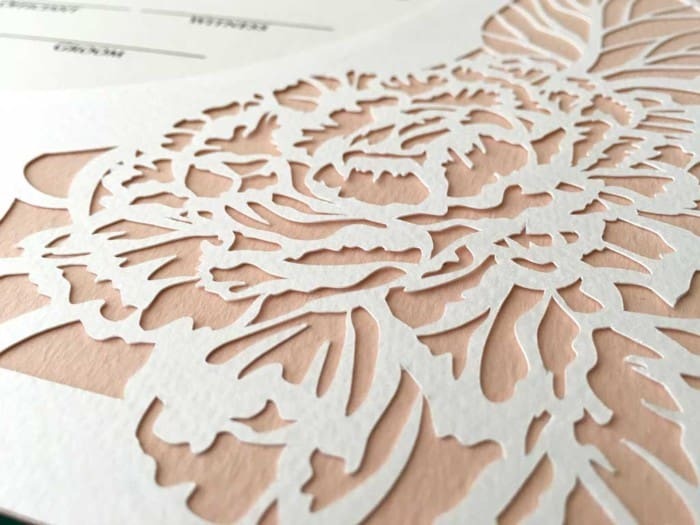 Carefully cut out of museum quality fine artists’ paper. 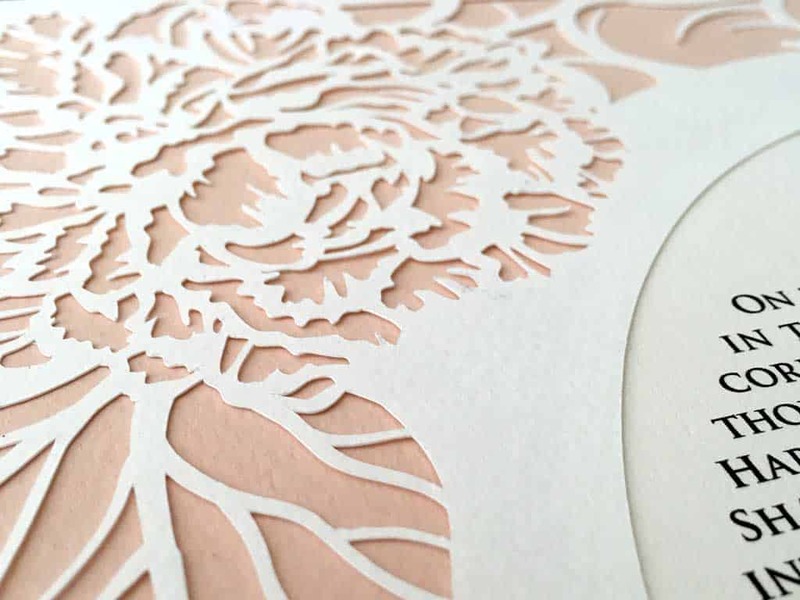 The peonies interpreted in paper look lacy and soft. 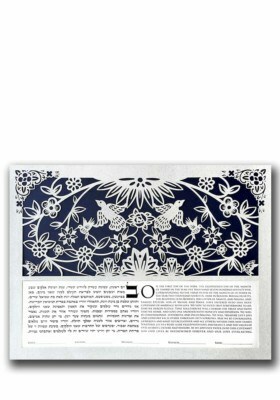 A beautifully classic design that will brighten your home for a lifetime.